Proud to Manufacture in Michigan? 4/21/2017 Yes We Are! By: Michael McGray For decades, Michigan’s manufacturers have played a vital role in our state’s economic development. 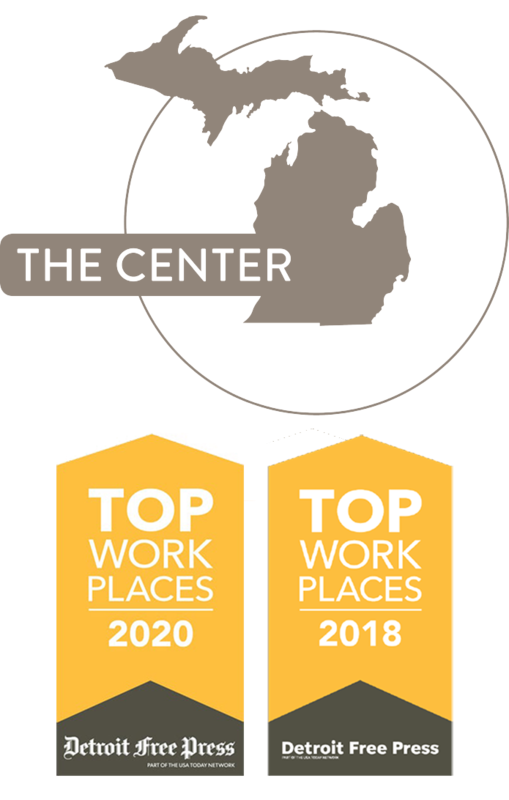 In 2012, the Michigan Manufacturing Technology Center (The Center) wanted to honor the diverse contributions of our state’s manufacturers by starting a Proud to Manufacture in Michigan (PTMIM) campaign. Participating manufacturers were invited to display a Proud to Manufacture poster in their facilities and received a complimentary profile page in a special directory. 12/19/2014 Quick exercise: open up Google in another tab or window. Pick a topic that interests you and conduct a Google search. When Google displays the results for you and provides you with suggested websites, click on one of the links and learn more about your topic. Finished? I bet my bottom dollar that you opened up one of the links from the first page of your results. Now let’s look at things from a customer’s perspective. When your target audience types in your products, parts or services into Google, you want your company’s website to be found on the first or second page of the results section, correct? This is where Search Engine Optimization (SEO) comes in. 11/7/2014 So you’re trying to network with new contacts, exchange business cards and generate more leads for your business. Your target audience members create a big networking group, and very conveniently for you, they decide to have their meetings at a restaurant that’s right next door to your office! Even better, they don’t charge any fees to join their networking group. You would be a fool to completely ignore these meetings and never attend, right? Well, if you’re not an active member of LinkedIn right now, it’s time to start feeling a little foolish. Michigan’s Manufacturers Are Set to Celebrate National Manufacturing Day! 9/19/2014 Move over Halloween. There’s another holiday in town during October, and Michigan’s finest are gearing up to celebrate. We’re talking about National Manufacturing Day, which is set for Friday, October 3rd! Established in 2012, National Manufacturing Day was created to raise awareness about U.S. manufacturing. Now in its third year, the goal of the celebration is to change the nation’s perception of manufacturing careers and increase the public’s knowledge about the industry’s value to the U. 9/5/2014 How to Create a Technology Road Map We recently published a blog entry about the importance of roadmapping. Roadmapping is an excellent way to align your technology with your company’s strategic goals. To recap Part 1, roadmapping is a visualization of how to tie a company’s technology needs to its new product development and strategy. Among the advantages, road mapping can: Help you arrive at a shared vision of your organization’s future, Create a consensus on the needs and technologies required Create a framework to plan and coordinate technology with future business activities If you’re interested in reading the first part of the series, click here. We Interrupt This BlogCast . . .
8/29/2014 ...to bring you this special bulletin. We regularly look for new methods and products with which we can serve Michigan businesses, with a special focus on manufacturers. As a result, we're adding key personnel to concentrate on Michigan's emerging and expanding markets. We are so excited about some of the new things happening around here that we couldn't wait to share them. Here's just a few of our latest additions. John Spillson - Food Processing Development Manager John has more than 25 years of experience working in his family's food business. 8/15/2014 How much time do you spend on strategic planning for your organization? In manufacturing, it’s very easy to get caught up in the daily grind…and understandably so! You have to worry about maintaining production levels, serving clients, adhering to safety standards, marketing your products, and so on and so on. When you have to mark so many things off of the “to-do” list in a given day, there’s seldom time for strategy. If you’ve been procrastinating developing an official strategic plan for your company, use this as a call-to-action: plan NOW! As Charles Dickens more eloquently put it, “My advice is to never do tomorrow what you can do today. 8/1/2014 Email is still an important marketing tool for manufacturers. It gives your business the opportunity to easily connect with your target audience on a consistent basis. According to a study by ExactTarget, 91% of consumers use email at least once a day. Furthermore, “66% of consumers have made a purchase online as a result of an email marketing message,” according to the Direct Marketing Association. While email still plays a vital role in how we communicate, email marketing is evolving.